How Often: When adding to the pond for the first time, or if water quality is poor, use a double dose weekly for the first two weeks. Continue adding 1 scoop per 100 gallons of pond water every two weeks throughout the season as a maintenance dosage and to maintain optimum water quality. 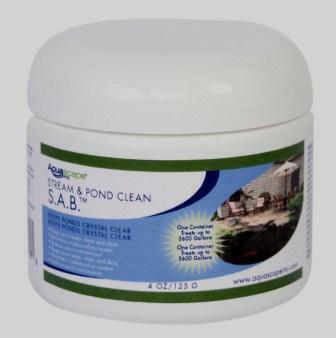 How To: Mix SAB Stream and Pond Clean in a clean bucket used only for your pond. SAB should be activated in the bucket with warm water (about 80F / 26C) and poured around the parameter of the pond or stream. 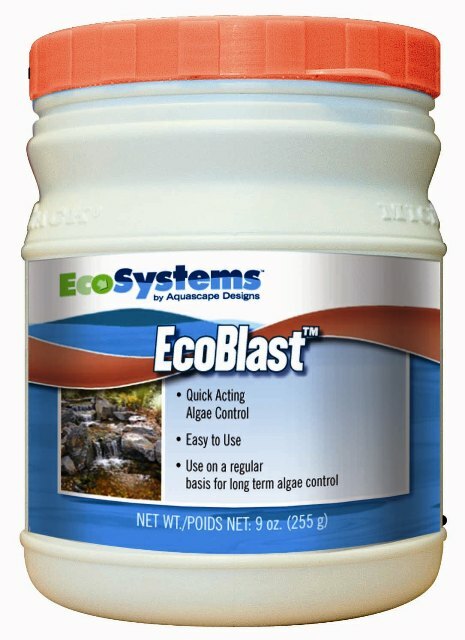 When mixed, the product should be added to the pond quickly to provide best results. Pond water may become temporarily clouded depending on the pH of the pond. 4.4 oz./125 grams - treats up to 1,300 gal./5,108 liters 1 scoop treats up to 100 gal. 8.8 oz./250 grams - treats up to 2,700 gal./10,218 liters 1 scoop treats up to 100 gal. 1.1 lb./500 grams - treats up to 5,600 gal./21,192 liters 1 scoop treats up to 100 gal. To view a printable .pdf copy of the MSDS (Material Safety Data Sheet) that has been filed with the EPA,"DOWNLOAD MSDS"
From Christopher Riddell of Port Huron, Michigan on 7/22/2014 .